Wow! I just want to thank you all so much for the lovely comments that you have been leaving since the '21 Day Challenge' started! I couldn't ask for a more wonderful bunch of ladies to share this with, you all uplift and inspire me everyday. Thank you! I hope I manage to brighten your day as much as you do mine! Ok, so that little intro was only part of the love that I have today :) Remember I am all positivity lately! I have received a few awards this week (you all are all about love too)! Now, it's time for me to pass them along to my lovelies! 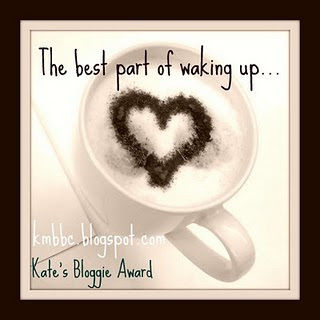 My lovely Kori at Blonde Episodes created this new Beautiful Blog Award. 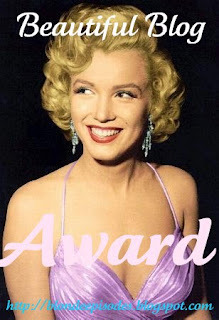 She is always coming up with the most creative awards (and they always have the glamorous Ms. Monroe as the mascot). I want all of you to grab this! Please, I'm serious! I think you all have beautiful blogs and they are all unique and showcase your personality. So, go on and take it, it's yours! Amber from Young, Fabulous and Newlywed passed along 'The Best Part of Waking Up...' award. This one is really special, because it means a lot to know that my blog is something that people really look forward to in the mornings! I get a little tear actually! 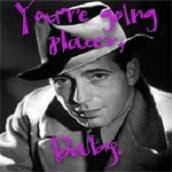 And last but not least one of my new favorites, Valerie at Next to Heaven, gave me the 'You're Going Places, Baby' award. How cute is this? I love it! Rules: Post where you’d like to be in 10 years and then give it to 10 bloggers. Hmmmm....where do I want to be in 10 years? Well, that would make me 33. I would love to still be working at the same school. I clearly love it there! Hopefully by then I will be married, maybe with a little muffin running around?? These are 10 ladies that I have just recently found and I definitely think they're going places! Ok, so now that the awards have been handed out, I was also tagged (by this girl and this girl) to play a little photo game! I love to share my pictures! The rules are to go to your first picture folder, pick the 10th photo, and tell the story behind it. 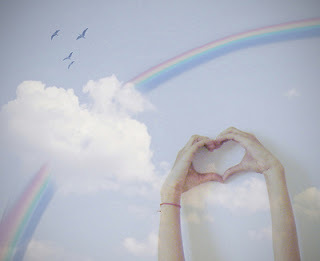 I love this picture!! I can't believe it was taken almost a year ago. Those are my two best friends, Lauren and Kelsey. This was taken at our baccalaureate ceremony the day before we graduated from college. You see that big smile on Kelsey's face? Well, not only was she about to graduate from college but she had gotten engaged the night before! I know, it was quite a weekend! Now, I want these ladies to play along! Congrats on you award lady!! Thanks for tagging me, this ought to be fun!! Congrats on your awards! :) Love reading your blog! Congrats on your major awards! Thanks for all the new, fun blogs to read! Yay! Congrats on your award, too! Glad you decided to participate!! :-) Thanks for the award that you gave to everyone! That closing was so cute. I will have to go to my first photo folder....count down ten pics and SEE WHAT PICTURE THAT MIGHT BE!!!! Oooooh! Now that is scarey!!!! Love your challenge of being POSITIVE....can't believe you are EVER not positive! you are just racking up the awards, lady! CONGRATS!!! and always well deserved but you knew that. love your grad image. you look beautiful! 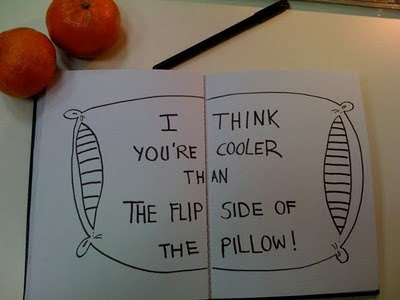 Aww, you are too sweet! Thanks so much for the award. Have a wonderful weekend! Congrats on your awards lady!! Wow congrats on all the awards! Thank you so much for passing the award on to me!! SO SWEET!!! Have a great weekend doll!